Well if there was anything that China actually planned to deliver on, as part of the Buenos Aries dinner trade "deal," forget about it now. Huawei Technologies Co.’s chief financial officer (the daughter of the founder!) was arrested in Vancouver, British Colombia, Canada at the request of the United States over potential violations of U.S. sanctions on Iran, provoking outrage from China, according to multiple news services. Wanzhou Meng, also a deputy chairwoman, faces extradition to the U.S., according to a Canada Justice Department spokesman. A bail hearing has been set for Friday. According to Bloomberg, news of Meng’s arrest provoked an immediate protest from the Chinese embassy in Canada, demanding the U.S. and Canada “rectify wrongdoings” and free Meng. The CFO’s arrest could be regarded back home as an attack on China’s foremost corporate champions, notes Bloomberg. Naturally, it is difficult to see this arrest as anything but positively bizarre, especially at a time when the world is condemning Saudi Crown Prince Mohammed bin Salman, while President Trump is playing footsie with him. And at a time when Trump is trying to close a trade deal with China. It must be noted that Huawei is a Chinese-based global operator and that the arrest is a direct attack on a Chinese corporation for dealings it is alleged to have had with a foreign country (Iran). This should have nothing to do with the U.S. This is not America first. This is the Empire first. Chinese Ambassador to Canada Lu Shaye and four high-ranking members of the National People’s Congress also canceled an appearance before the Canadian House of Commons foreign affairs committee scheduled for Thursday, according to The Globe and Mail. According to TGM, Meng, 46, who also goes by the name Sabrina, was appointed CFO of Huawei in 2011 and is also one of four deputy chairs. 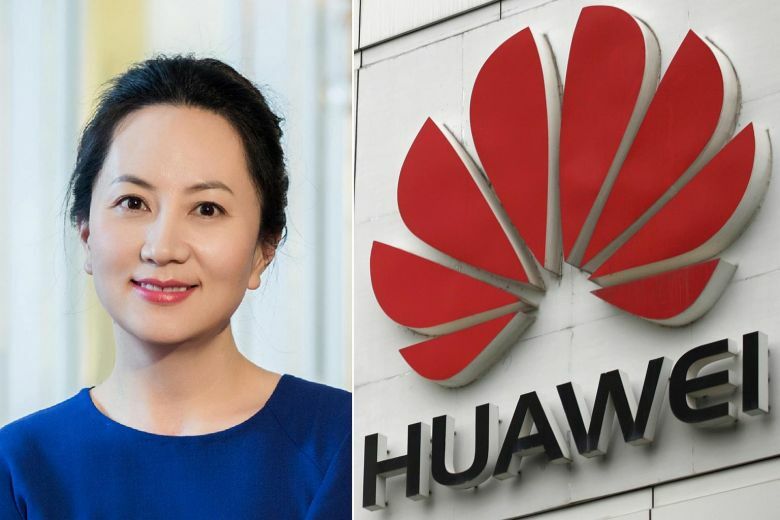 She appears to be being groomed for the top job at Shenzhen-based Huawei, which is now the world’s second-largest maker of telecommunications equipment. Her father was a former engineer in the People’s Liberation Army. Is it possible Trump thinks he can basically kidnap Meng and hold her as a hostage as part of trade negotiations with China? As nutty as this sounds, it is the only thing that even makes a little nutball sense. I wouldn't want to be an American CEO traveling to China right now. Indeed and this is pure over reach as the most idiotic way to bully about sanctions I have ever heard. It speaks volume at the unlimited idiocy the current administration can achieve.